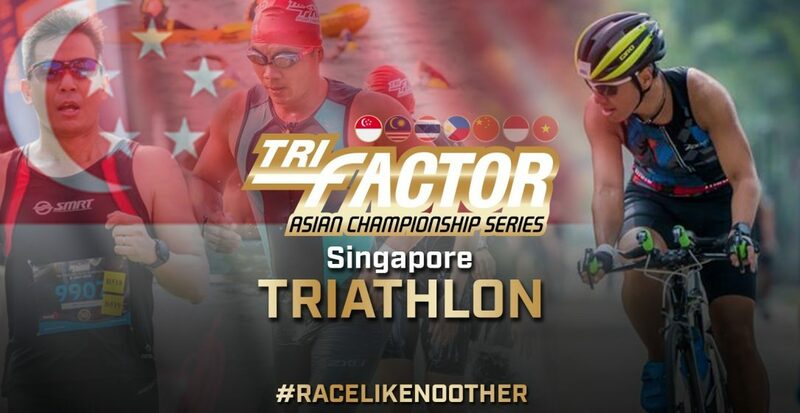 TRI-Factor Triathlon – Asian Championship Leg 2019 | Connect by JustRunLah! TRI-Factor points attained can either be awarded under Club or Corporate. Points will be awarded under Club if you indicated you are representing a Club. Please check with your Club leader for standardized Club name your Club will be using for the Challenge. Please standardize Company's name across all your Company's registrations if you are aware that your Company will be competing in our Corporate Challenge. Parent/Guardian, AGREES to my/our participation in this event. My Parent/Guardian have read the Rules and Regulations and allow me/us to participate in this event and shall not hold the Organiser, their sponsors, appointed officials or staff responsible for any mishaps injury or loss of life whatsoever that may occur in the course of, or as a result of my/our participation in the event. Originators of the TRI-Factor Series, Singapore is still one of the main stops on the TRI-Factor map within South East Asia! With a fast course and 18 WORLD CHAMPIONSHIP SLOTS to QuZhou, China up for grabs, this is one Triathlon you should not miss! Grab the family and enjoy a great TRI-FEST CARNIVAL at the end of the Race!